Enjoy the wineries and local attractions in Mount Jackson in Shenandoah county. The property is located on top of the mountain with beautiful view. Outside: Two story deck with bbq grill on the top deck. Walk further outside and you will see an outdoor fire pit with 3 chairs and Edison lights above you. Living room: we have the indoor gas fire pit, custom built wood pallet sofa and a table, modern dining table with "cool" signs which will enlighten your mood. Stoves, fridge, microwave, coffee machine, plates provided. Main bedroom: we have a new flooring with very comfy queen size bed. Two home-made barn door colored in mustard yellow and 5-star hotel mattress. Seriously, it's really comfy. Second mini bedroom: we have a trundle bed. This room is fairly small and the bed size is a twin. Bathroom: small but it's got everything you need. We provide towels and shampoo. There is 1/2 bathroom next to the main bed. no shower in the other bathroom. Guest have access to entire house. Wifi, board games, a projector with Netflix but the quality of projector is not great. Currently, I am remotely managing the property from Fairfax, VA. I do have a very nice lady who cleans the property after each reservation. Check in time is very flexible unless there is back to back reservation. Check out must be at 11am. The day before the reservation, I will message you the key lock code and wifi password. Clean and spacious with a fantastic view. Peaceful and relaxing. A wonderful place to recharge and enjoy nature. Wineries, caverns, and nature hikes are within a short distance. I would stay there again. Beds were comfortable and A/C worked well. Easy to feel at home at this property. Coming from the city, I enjoyed the quiet - no traffic, no people noises. Lovely. 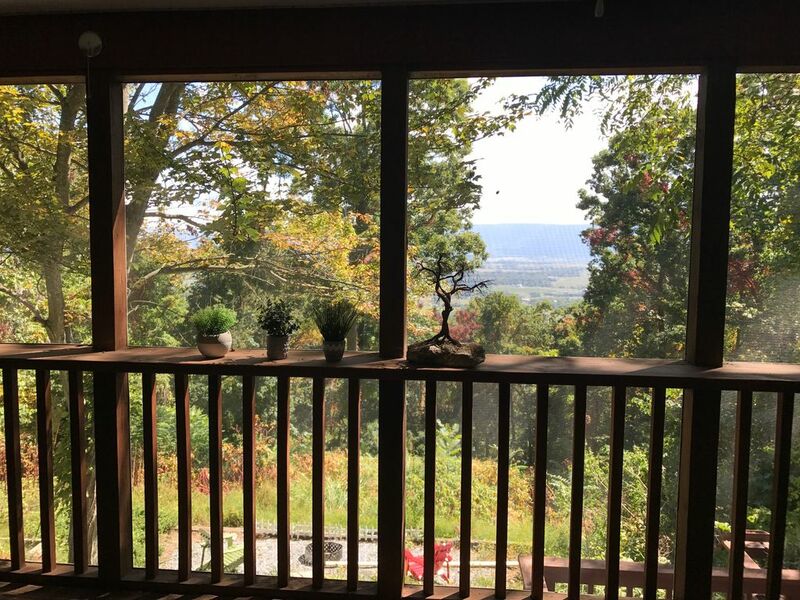 Our stay at Kihun’s Beautiful Mountain View home was lots of fun! We really enjoyed breakfast and dinner at her retro dining table. The projector was a perfect way to watch Netflix. The shower was great after a day at the caverns and hiking. The main bed sleeps perfectly! Would definitely stay here again. Absolut ruhig, ausgestattet, mit allem, was benötigt wird.